The following tests assess functional leg strength using squats. Most people do squats improperly, increasing their risk of knee and back pain. Before you start piling more weight on the bar in your weight-training program, you should determine your functional leg strength, check your ability to squat properly and give yourself a chance to master squatting movements. The following leg-strength tests will help you in each of these areas. These tests are progressively more difficult, so do not move to the next test until you have scored at least a 3 on the current test. On each test, give yourself a rating of zero, 1, 3, or 5 – as described in the instructions that follow the fifth test. 1. Sit up straight in a chair with your back resting against the backrest and arms at your sides. Your feet should be placed more than shoulder-width apart so that you can get them under the body. 2. Begin the motion of rising out of the chair by flexing at the hips— not the back. Then, squat up using a hip-hinge movement (no spine movement). Stand without rocking forward, bending your back, or using external support and keep your head in a neutral position. 3. Return to the sitting position while maintaining a flat back and keeping your weight placed over the center of your feet. Your thighs should abduct (spread) as you sit back in the chair. 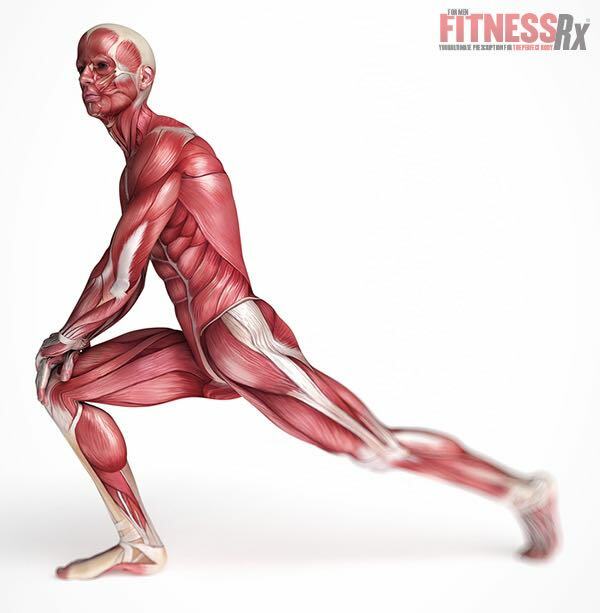 Use your hip flexor muscles as much as possible as you sit. 1. Stand facing a bench, with your right foot placed on the middle of the bench, right knee bent at 90° and arms at your sides. 2. Step up on the bench until your right leg is straight, maximizing the use of the hip extensors. 3. Return to the starting position. Keep your hips stable, back straight, chest up, shoulders back and head neutral during the entire movement. 1. Stand with your feet placed slightly more than shoulder-width apart, toes pointed out slightly, hands on hips, head neutral and back straight. Center your weight over your arches or slightly behind. 3. Push back up to the starting position, maximizing the use of the hip extensors, maintaining a straight back and neutral head position. 1. Stand about 3 feet in front of a bench (with your back to the bench). 2. Place the instep of your left foot on the bench and put most of your weight on your right leg (your left leg should be bent), with your hands at your sides. 3. Squat on your right leg until your thigh is parallel with the floor. Keep your back straight, chest up, shoulders back and head neutral. 4. Return to the starting position. This exercise is the most difficult of the functional leg tests. Use spotters if you haven’t done this exercise before or if you do not have the leg strength to perform 3 repetitions easily. 1. Stand on the middle of a bench with your weight on your left leg and arms extended in front of you. During the test, maintain a flat back and keep your weight over the arches of your feet. 2. Squat down on your left leg until your thigh is parallel with the ground, maximizing the use of your hip flexors. Do not rock forward on your toes or bend at the waist and maintain a neutral head position. 3. Return to the starting position (stand up) by extending the left hip and thigh, maximizing the use of your hip extensors. 5 points: Performed exercise properly with good back and thigh position, weight centered over the middle of the foot, chest out and shoulders back; good use of hip extensors on the way up and the hip flexors on the way down, with head in a neutral position throughout the movement; maintained good form during all repetitions; for single-leg exercises, showed good strength on both sides; for single-leg lunge-squat with rear-foot support, knees stayed behind toes. 3 points: Weight was forward on the toes, with some rounding of the back; used knee extensors excessively, with little use of hip extensors; head and chest were too far forward; for single-leg exercises, one side was stronger than the other; form deteriorated with repetitions; for single-leg lunge-squat with rear-foot support and single-leg squat from a bench, could not reach parallel (thigh parallel with floor). 1 point: Had difficulty performing the movement, rocking forward and rounding back badly; used knee extensors excessively, with little use of hip extensors on the way up or hip flexors on the way down; chest and head were forward, showed little abduction of thighs; on unweighted squats, had difficulty reaching parallel; on single-leg exercises, one leg was markedly stronger than the other; could not perform multiple repetitions. Zero points: Could not perform the exercise.